The python found in Leitrim last July is now looking for a new home! The Royal or Ball Python found near Kinlough earlier this year now needs a new home! 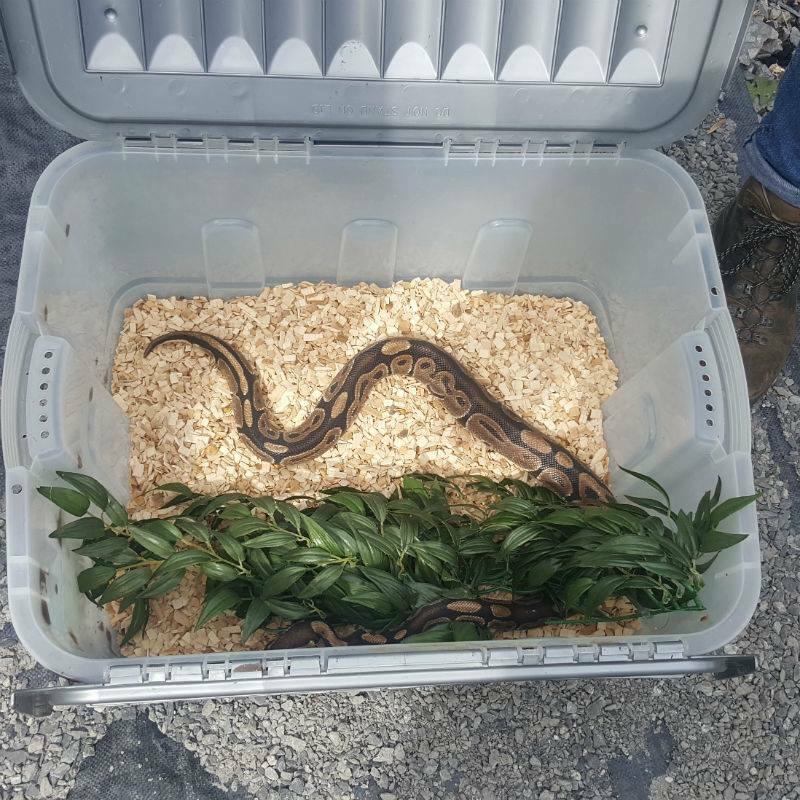 Remember the female Royal Python found abandoned in the Ecopark outside of Kinlough, Co Leitrim earlier this year? Well the ISPCA is looking for a new home for her! Penelope the Python was rescued in mid-July after she was spotted by a number of people out walking in the Ecopark. She was brought to a reptile centre in Letterkenny for rehabilitation where her rescuers named her “Penelope”, and monitored the snake for several weeks to ensure she was healthy and eating. Penelope is now fully recovered and ready to go to a suitable home. The ISPCA want to find a home where her new owner has the knowledge and skills to provide proper care for the duration of her life. Penelope is a Royal Python, approximately three years old and one meter in length. She was in relatively good condition, but slightly hungry when she was rescued. The ISPCA describe her as a "social and friendly snake" - probably not words which will appeal to everybody, but important to know if you are thinking of giving her a home! It was unclear how the snake came to be in the park. Because no one has come forward with information regarding Penelope’s origin, she can now be rehomed. The ISPCA continues to advocate for stricter controls over the sale and keeping of exotic species, including a ‘positive list’ of species which are permitted to be bred, sold and kept as pets based on their welfare needs and whether they pose a risk to human health or the environment if they escape or are deliberately released. If you are interested in adopting Penelope, please contact the ISPCA Donegal Animal Rehabilitation Centre at donegal@ispca.ie or (074) 9152360. See also: Video of the Royal Python found near Kinlough last July.